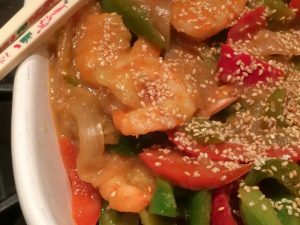 My family loves stir fry dishes and I love how easy stir Fry recipes are to make even on a hectic weeknight. 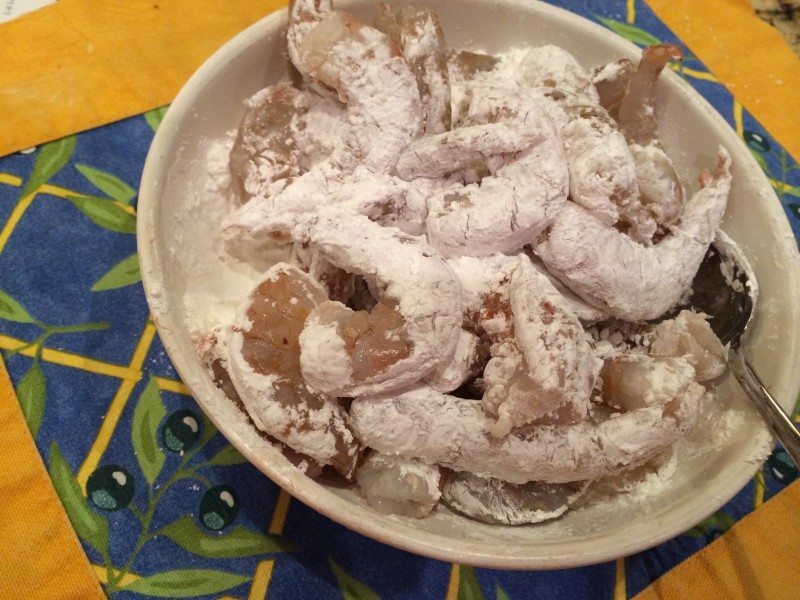 To make things even quicker choose a quick cooking protein like fresh Florida Shrimp. You have to ask your fish monger about where the shrimp is from, sometimes it is listed as from USA or not at all. 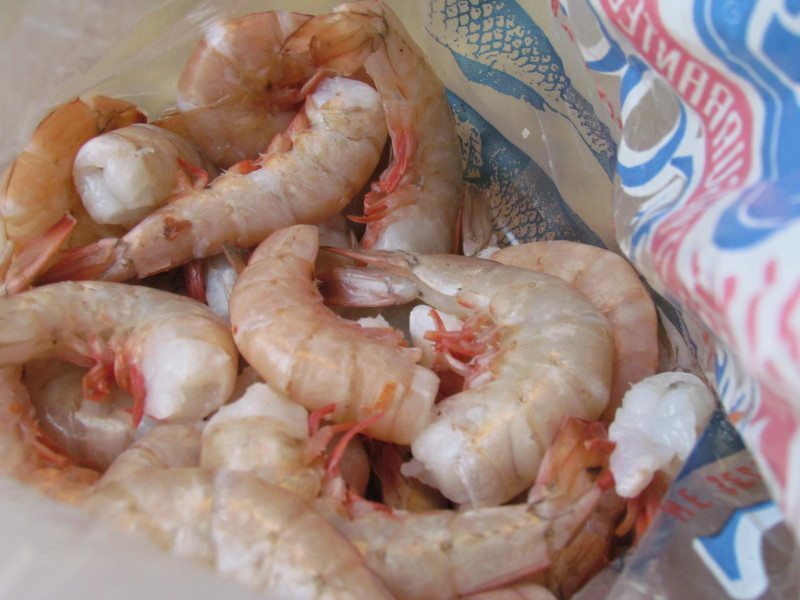 If you follow the sustainable fish practices you definitely need to be purchasing Shrimp Fresh from Florida. At our Kroger store the seafood is obviously frozen but knowing it was not flown in from overseas makes me a little more confident about feeding this to my family. 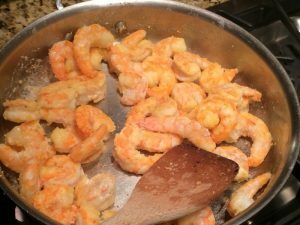 We eat a lot of shrimp and like I pointed out before it is an easy & quick way to provide a protein to your family. 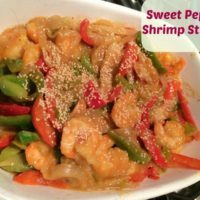 After browsing the Florida Shrimp Associations website I found this citrusy sweet Pepper and Shrimp stir fry recipe that is not only tasty but super quick and easy. (outside of peeling and deveining the shrimp of course). The sauce is developed by first coating the shrimp in corn starch and quickly sauteing it; Look at the pretty color already. 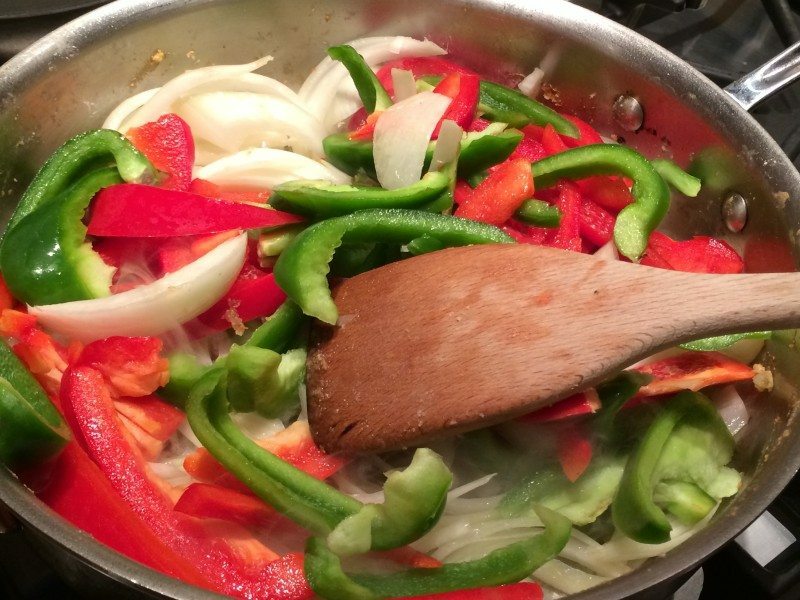 Now add your veggies, I chose to add celery to this recipe for extra veggie option.&nbsp; You could add any veggie your kids will enjoy in a stir fry. The sauce could not be simpler either; Fresh simple ingredients like low sodium soy sauce, fresh orange juice, (if you have fresh) and honey for sweetness. 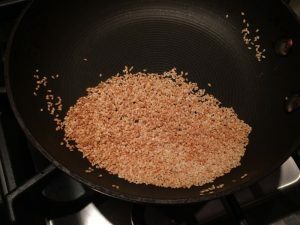 If you don’t have toasted sesame seeds, quickly heat them in a dry saute pan for a few minutes, but keep you eyes on them, they will burn quickly. Cooked in just a few minutes and served over brown rice provides a healthy and nutritious meal. 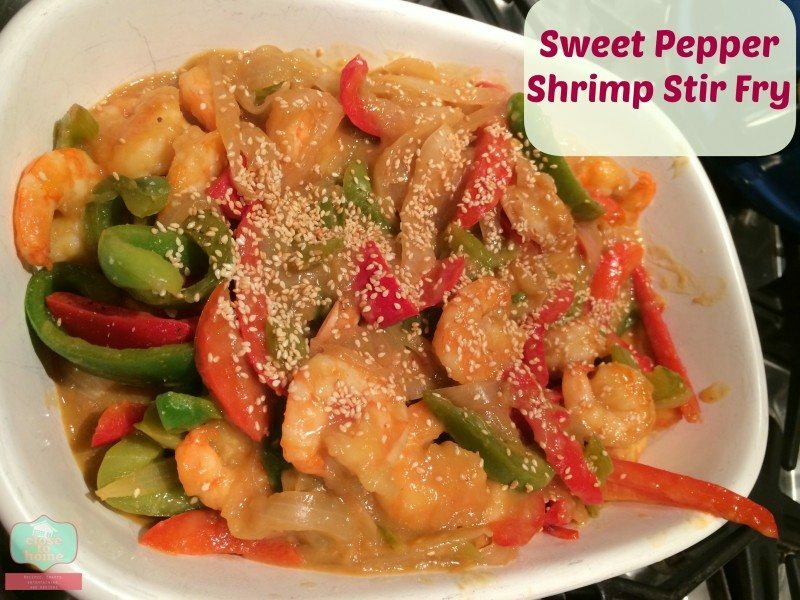 Brighten up your dinner table with this refreshing and hearty shrimp stir Fry recipe. A super easy weeknight dinner recipe. Add the honey, orange juice and soy sauce to the pan. Turn the heat up slightly. Scrape off any bits off the bottom of your pan. Bring the liquid ingredients up to a boil. Turn the heat back down to medium high and add the shrimp back to the sauté pan. The sauce should thicken and the shrimp will be cooked after three minutes. Serve over brown rice. Garnish with sesame seeds. season with sirichi at the table. What is your favorite way to eat shrimp? I’m not a fan of shrimp but I could be after this recipe! I didn’t ever think of shrimp not coming from the US. Thanks for stopping by Jamie. LEt me know if you make this. That looks yummy – saving this recipe! Great job! This looks awesome. I love shrimp. This dish looks yummy and easy to make. I agree about the peeling of the shrimp, I usually by already peeled. Ooh, this looks delish and I am hungry now. Thanks for sharing this great recipe!